What are Glycans? | GlyTech, Inc.
Home > Hello Glycan > What are Glycans? 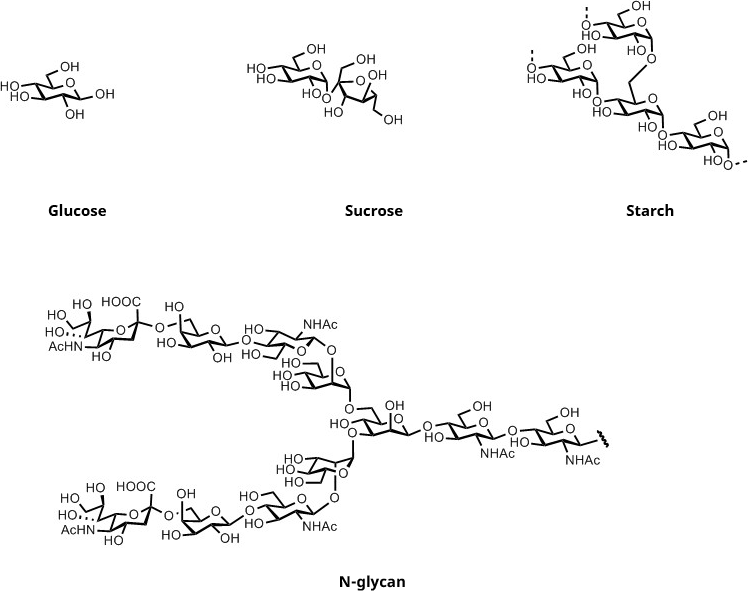 Glycans are chain-like structures that are composed of single sugar molecules (monosaccharides) linked together by chemical bonds. Monosaccharides such as glucose, fructose and galactose are most widely-known as the building blocks of dietary sugars and carbohydrates, and are the main source of fuel in most living organisms. However, many other types of monosaccharides exist in nature, and they can assemble into a huge variety of chain structures, from extremely long straight chains like polymers to complex branched shapes. Sugar molecules (saccharides) can form a large variety of structures with different biological functions. It is now known that sugar chains are not only a source of energy – they also have many other functions in biological systems. 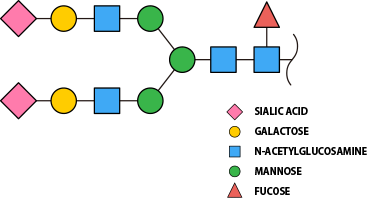 The sugar chain structures commonly called glycans are usually found attached to proteins and lipids in living organisms. The constituent monosaccharides, their combination and bonding position, and the type of branching can all affect the properties and roles of these “glycoconjugates”. Although our understanding of the biological importance of glycans is still developing, “glycoscience” has now become a vital field in life and medical science that is increasingly being applied to drug development.